The first minutes are critical in life-threatening bleeding situations. Uncontrolled bleeding can cause death in as little as 2-5 minutes — often before first responders and emergency medical services arrive. You need the right equipment and you need to apply it fast. 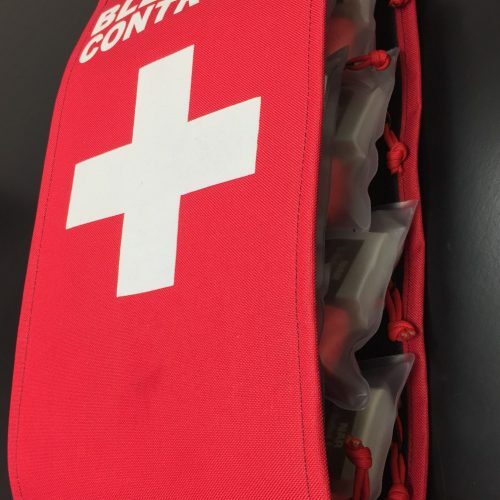 Public Access Bleeding Control Stations (BCS) from Emergent Rescue Systems contain 4-12 Bleeding Control Kits with proven life-saving equipment capable of application by immediate bystanders or trained emergency medical personnel. Kits attach to the main station with hook and loop (velcro), allowing rapid detachment for distribution to multiple casualties. Because stressful situations can cause decreased performance even for trained professionals, every aspect of our BCS and kits is designed for simplicity and ease of use.